Knit and felt scarves etc. 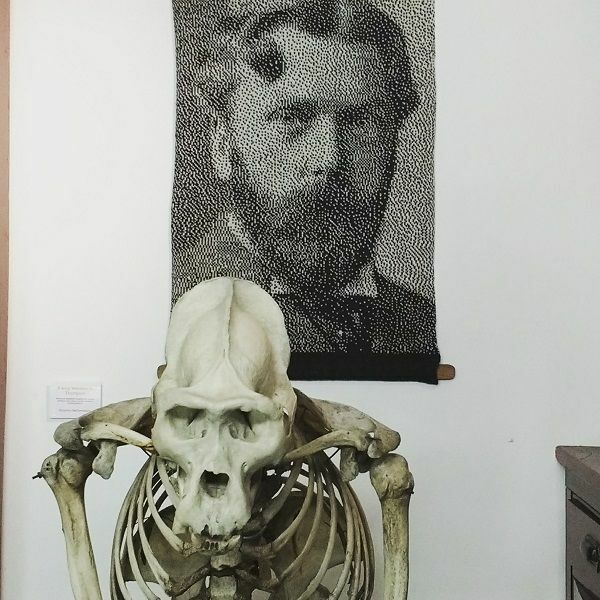 D'Arcy Wentworth Thompson, zoologist and classical scholar, hanging behind a skeleton of an orang utang in his eponymous museum at the University of Dundee. The wall hanging was donated to the museum on its 100th anniversary. All text and images on this site ©Madeleine Shepherd.